This winter, Nike is taking the Roshe Run shoe and making it more suitable for the cold weather by creating a “Premium Leather” pack. It keeps the original SneakerBoot design with metal eyelets and rope laces. 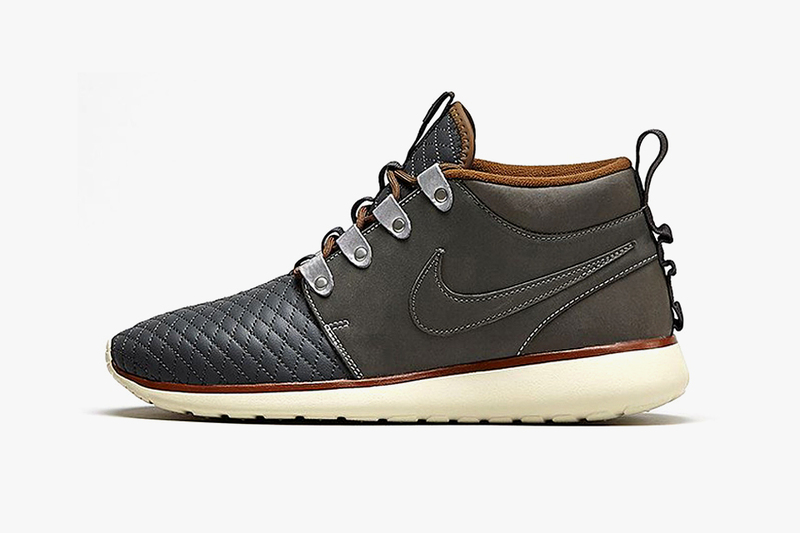 Premium Leather is throughout the shoe, as well as a quilt-stitched toe box and tongue. You can expect for these to be available at Nike and select retailers very soon.